Tinker is a little old gal who even with breathing issues still has plenty of energy. 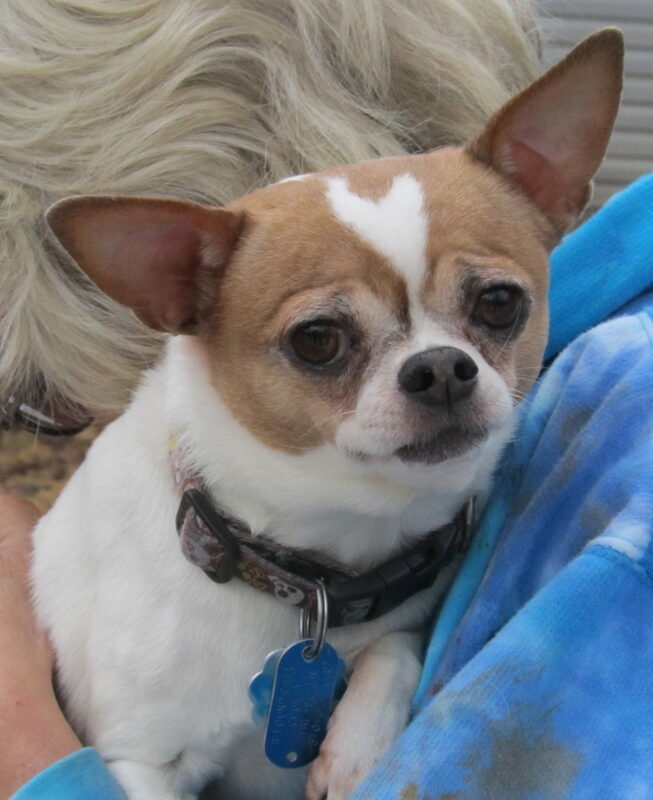 Tinker would prefer a warm bed to snuggle in or a lap to sit on. A quiet home would be best. She walks well on a leash, is housebroken, and gets along with other dogs. Her best friend is Lupe and they must be adopted together.